Organized by the “Observatory for a New Social Dialogue” (a new club from the RH&M Group, a distinguished HR think tank since 1998), the Social Dialogue Awards recognise, each year, a company that has rolled out an innovative project in the area of social dialogue, that is both significant and exemplary. 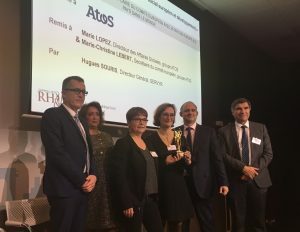 At the 4th edition of this awards ceremony, held on Thursday 12 October, Atos won the Award for the European Social Dialogue and Development 2017 for work by its European Works Council, the Societas Europea Council (SEC). The SEC is the body representing all European employees of the Group, i.e. more than 63 000 employees. A key driver for the development of employees, this ongoing European social dialogue has accompanied the growth of the Atos Group, global leader in digital transformation, which has seen its workforce and its turnover more than double between 2008 and 2017, to reach around 100,000 employees worldwide and 12 billion euros revenue today. With 39 representatives from 25 European countries – appointed or elected dependent on local regulations – the SEC meets on average once a month, well beyond the three annual meetings provided for in the agreements, in order to meet all requests. 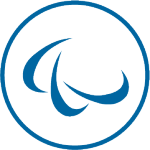 A representative from the SEC is also involved in the work of the Atos Board of Directors. The trophy was awarded to Atos by Pierre-André Imbert, Social Advisor to the French President.